This six prong cathedral engagement ring setting has flowing lines and is designed to sit flush with the wedding band of your choice, complimenting any style. The open gallery also allows the center stone to be visible at all angles. 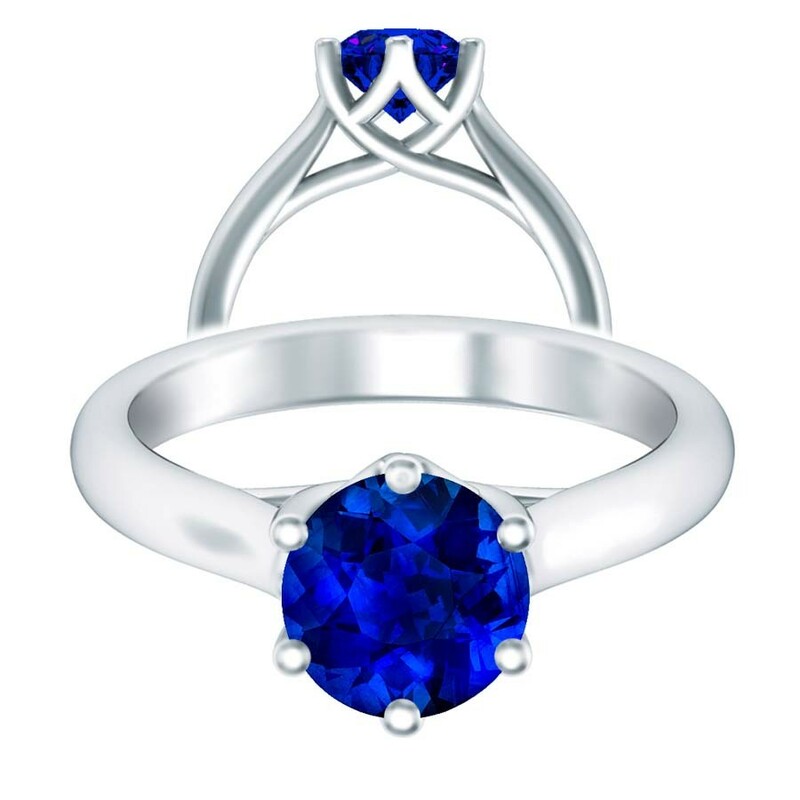 Available with either a 6MM or 6.5MM hand selected round cut blue sapphire center stone.